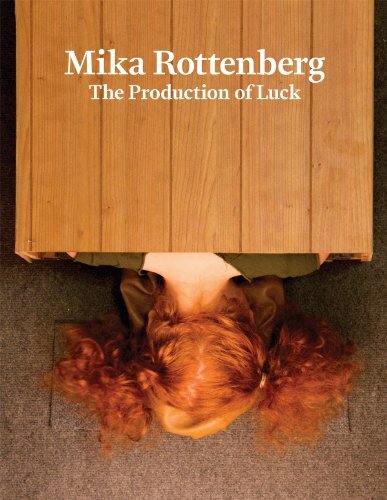 This volume offers a comprehensive look at the career of Mika Rottenberg (born 1976). Each chapter is devoted to one of the major videos/installations for which Rottenberg has become known, with an abundance of installation views, video stills, planning diagrams and source materials. Additional illumination is provided through texts by Rottenberg herself that accompany each project. The book also includes drawing and photography, significant bodies of work by Rottenberg not previously explored in book form. Also included is a major new text by award-winning poet, novelist, humorist and cultural critic Wayne Koestenbaum, as well as texts on the artist by Rose Art Museum director Christopher Bedford, and author and theorist Julia Bryan-Wilson. The book also contains a thorough biography and bibliography of the artist to date, making this a comprehensive resource on Rottenberg. Mika Rottenberg's videos and installations are marked by a highly distinctive, unforgettable narrative style. One would not expect three-dimensional work that is also time-based to be well-conveyed in print, but this catalog to an exhibition at the Rose Art Museum does a remarkable job.--Andrea Kirsh "The Art Blog "